· Road, drainage & recreational infrastructure design work for semi and local government. · Multi staged residential & commercial land developments, including design and construction surveillance. · Minor and major drainage projects, for either flood mitigation schemes to unit / commercial / industrial developments. · Drainage, sewerage, watermain extension projects in compliance with retail water company requirements, involving, design, project management and certification. · Reporting; Land development feasibility reports, Drainage Strategy reports. 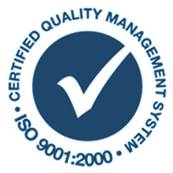 We have a fully implemented and certified quality assurance system, together with procedures certified to ISO 9001-2002. As hands on practitioners, we are able to provide our clients with an economical and responsive service. We operate from an office in Cranbourne with a proficient team comprising of civil design & construction engineers supported by drafting & administration staff. Additional contract specialist engineers (Structural, Electrical, Telecommunications, etc.) will be commissioned if required. We are located in close proximity to Licensed Surveyors for whom we provide mutual support. 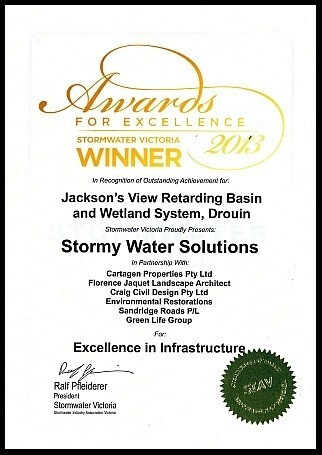 Craig Civil Designs 2013 award for excellence for the Jackson’s View Retarding Basin and Wetland System in Drouin.